Universal wheel spacers fit between your vehicle’s hub and the wheel, which can improve handling and gives the car a wider stance. 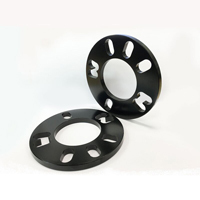 Find universal wheel spacers for a range of models here at Euro Car Parts. 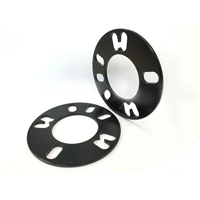 Universal wheel spacers are a popular aftermarket accessory that can be fitted for a variety of reasons. Some people prefer the wider, more aggressive look they give the car, and they can also improve handling and steering. Wheel spacers can also allow different types of brake upgrades to be fitted by increasing the clearance between the hub and the wheel. Some wheel spacers are specific to a certain make or model, but universal wheel spacers are designed to fit a range of different cars. 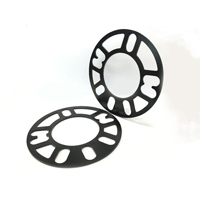 However, it’s always best to check beforehand whether the product your buying is right for your vehicle – some wheels have unusual layouts that even universal spacers won’t fit. Euro Car Parts sells universal wheel spacers from well-known brands to help you customise your car just the way you want it.